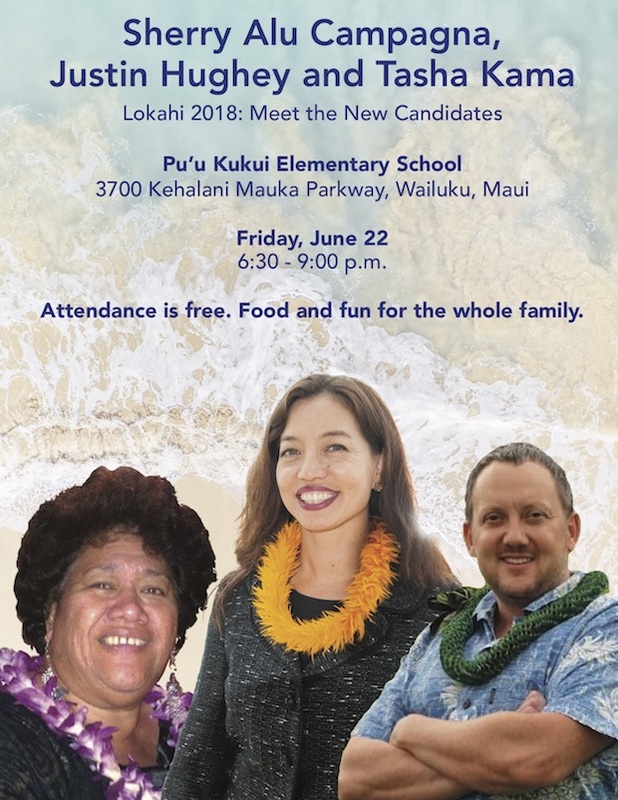 2019 Maui County Convention will be held April 27th 9:30am-11:30am at Pomaiaka’i Elementary School. Nominations are now being taken for Executive positions for the Democratic Party of Hawaii, Maui County Committee. Applications are due on Monday, April 15th, 2019. Pay $10 Application Filing fee here. A. The Chair shall have the power and duty to appoint the members of all standing committees and the chair and members of special committees, with the advice and consent of the Executive Committee. B. Should the delegates to the State Convention fail to fill all of the at-large and senatorial seats on the State Central Committee to which Maui County is entitled, the Chair shall have the authority to appoint qualified members to fill such vacant positions, with the advice and consent of the Executive Committee. Appointees shall meet the requirements as set forth in ARTICLE V, SECTION 1,2,3 and 4 of the General Laws of the Democratic Party of Hawai’i. The names of such appointees shall be transmitted to the State Central Committee within forty-five (45) days following adjournment of the biennial State Convention or if a vacancy occurs subsequent to adjournment of the State Convention forty-five (45) days following occurrence of the vacancy. D. Attend meetings of the State Central Committee and its select committees, and shall report on their proceedings at regular meetings of the Maui County Committee. E. Maintain and update member information in the county membership database. 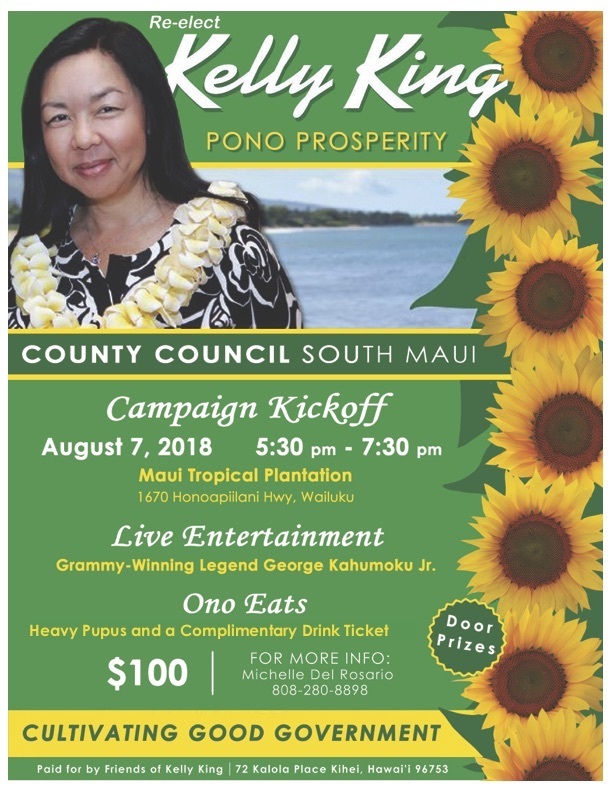 F. As necessary, collaborate with the Chairs of the Hawai‘i County Democratic Party and the Kaua‘i County Democratic Party to articulate and advocate for neighbor island concerns and views on Party procedural and policy matters, and report back to the County Committee on such matters. 2. VICE-CHAIRS OF MAUI, MOLOKA‘I AND LANA‘I. A. The Vice-Chairs shall assist the Chair in fulfilling their responsibilities and shall serve as the liaisons of the Executive Committee and the Maui County Committee for Party members on their respective islands. These officers shall be members of the Organization and Outreach Committee and be responsible for assisting the Vice-Chair for Organization and Outreach in coordinating the activities of membership development, voter identification, and ‘get out the vote’ activities on their respective islands. B. Vice-Chairs shall also work with each district chair on their respective island to ensure all precinct and district positions are filled. In the absence of the Chair, the Vice-Chair representing the island of residence of the Chair shall be responsible for carrying on the functions of the Chair. A. The Vice-Chair of Information Technology shall be responsible for creating and maintaining the county party website. They shall also aide the Chair in insuring that member information in the county membership database is kept up to date and all events and announcements are kept current on the website. B. 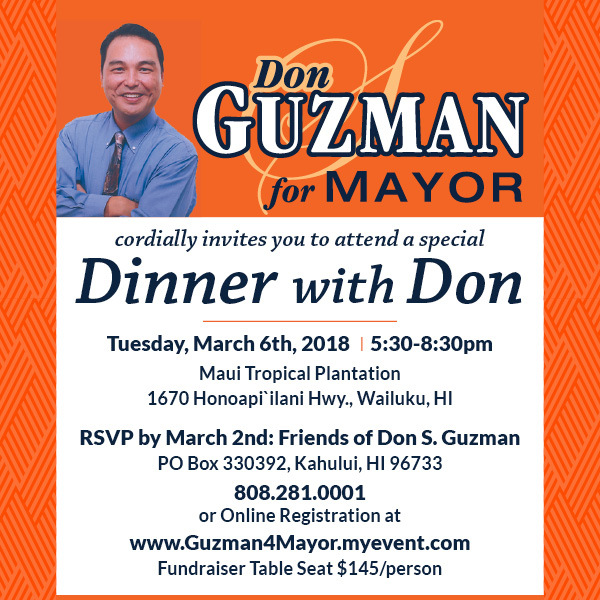 Coordinate with other Executive Committee members to establish methods of providing data and information and establish protocols for posting information on the party website (www.MauiDemocrats.org) in a timely and effective manner. A. The Vice-Chair of Communications and Public Relations shall assist the Corresponding Secretary in carrying out their duties. B. They shall be the point of contact for any media inquiries and publicizing Party events. C. Coordinate, maintain and update all Party social media sites. A. The Vice-Chair of Government Relations shall inform, work and interface with all elected officials. They shall keep elected officials informed of Party initiatives and activities. B. Shall report on activities and the cooperation received from the various elected or government officials and board members at each meeting of the Maui County Committee. C. Compile information on opportunities for public service on State and County boards and commissions and forwarding such information to the precinct clubs. D. Forward names, as appropriate, of Maui County Democrats for nomination to County, State or Federal Boards and Commissions. A. The Vice-Chair of Rules and Legal Issues shall advise on Parliamentary Procedure and Roberts Rules of Order. B. Ensure the Party is following both County and State rules. A. The Vice-Chair of Organization and Outreach shall work on enhancing voter registration, party member registration and get out the vote activities, including mailings and phone banking conducted for voter identification and get out the vote activities. B. Shall work with Democratic candidates running for office to support their grass roots efforts. A. The Vice-Chair of Community Issues shall organize, advocate and pursue legislation, platforms and issues important to the Party and the community. A. The Vice-Chair of Education shall organize, advocate and pursue legislation, and platforms relating to education that are important to the Party and the community. A. The Vice-Chair of Labor shall organize, advocate and pursue legislation, and platforms relating to labor that are important to the Party and the community. A. The Vice-Chair of Events and Fundraising shall coordinate all Party events and fundraising activities. A. The recording secretary shall keep accurate minutes of all meetings of the Executive Committee and the Maui County Committee. The agenda for each Executive Committee shall be prepared by the Recording Secretary at the previous meeting and in conjunction with the Chair and other members of the Executive Committee. Every attempt shall be made to solicit agenda items from all members of the Executive Committee and distribute the final agenda three days prior to the meeting. The minutes of each meeting shall be recorded electronically on the agenda and distributed to the committee members no less than 3 days after that meeting, unless the members of the Executive Committee present at that meeting reach another agreement. Reports of standing committees shall be presented in final electronic form to the Recording Secretary and along with all written reports of the officers and standing and special committees shall be entered in a book maintained for that purpose, to be turned over intact to the succeeding Recording Secretary. A. The Corresponding Secretary shall be a member of the Organization and Outreach Committee and shall be responsible for issuing press releases of Party activities, serving as the archivist, posting official notices of meetings as required by Party rules, for preparing draft responses, as necessary, on emerging issues in the Maui County community and for circulating or publishing these responses. Subject to the approval of the Chair or the Executive Committee, a file of all news articles, statements, and responses shall be maintained and turned over to the succeeding Corresponding Secretary. B. Coordinate and conduct mailings to members with particular focus on obtaining and maintaining current member contact information and status active Retired, deceased, moved, etc.). This information shall be turned over to the Recording Secretary and Vice Chair for Information Technology and to the Secretary of the State Central Committee for updating official member records. C. Shall be responsible for the formal correspondence of the Executive Committee and the Maui County Committee, and shall keep copies of it in a book maintained for that purpose, which shall be turned over intact to the succeeding Corresponding Secretary. A. 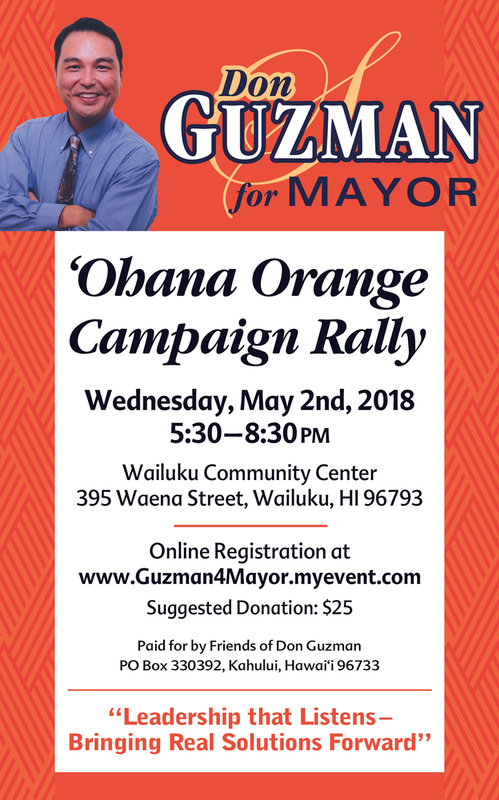 The Treasurer shall have custody of the County Treasury, which shall be deposited in a commercial bank in the name of the Maui County Committee of the Democratic Party of Hawaii or the Maui County Democratic Party of Hawaii. B. The Treasurer shall be responsible for seeing that all money is collected by duly authorized and identified person, that receipts be available to all contributors, and that a strict accounting is kept of all funds so collected. C. The Treasurer shall be bonded as determined by the Maui County Committee and the premium shall be paid from the County Treasury. D. The Treasurer shall report in writing at each regular meeting of the Maui County Committee, shall prepare timely reports for the Campaign Spending Commission; and shall submit a biennial financial report at the County Convention. Applications are due on Monday, April 15th, 2019. You can pay for your $10 officer filing fee online. Please submit your receipt with your application. The District Council will interview applicants starting at 2pm on Saturday April 14th 2018 in a location to be determined. The interview and selection process is NOT be open to the public. Only officers of the District 8 Council, County Chair and immediate past State Chair will be present for the interviews. No District Council officer who is applying for the vacancy will be a part of the interview process for other applicants, however they will retain their right to vote. After the District Council interviews all applicants they will select three (3) names via secret ballot. 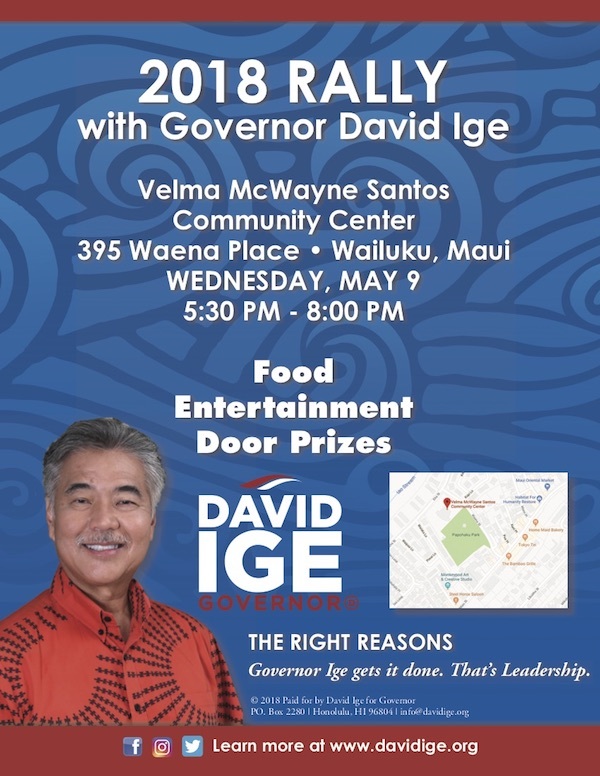 Those three names will be given to the County Chair Timothy Lara who will forward them to the State Chair Timothy Vandeveer, who will forward them to Governor Ige. Out of respect for the Governor, the three names will not be release to the public until after Governor Ige has received them. The Governor has 60 calendar days following the first day of vacancy to make an appointment to fill the vacancy. 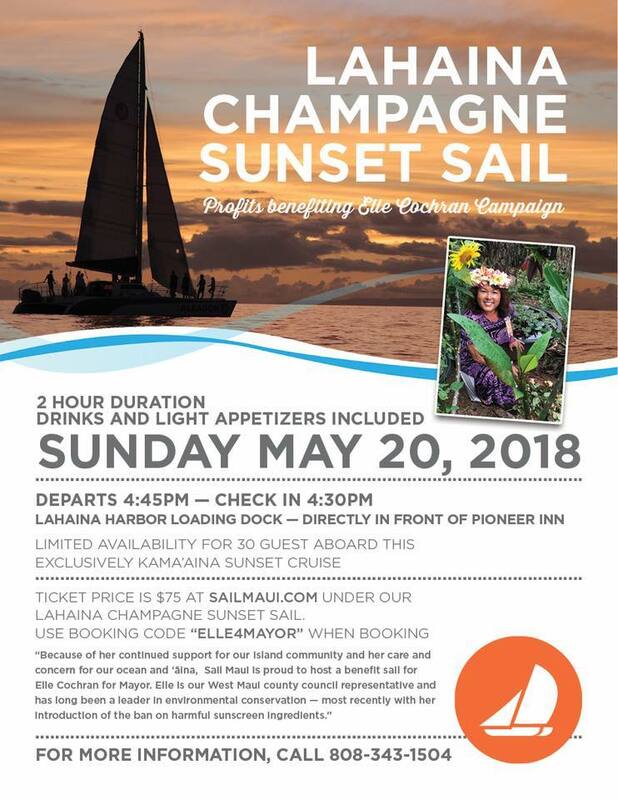 This entry was posted in Maui Democrats on April 4, 2018 by Tim Lara.